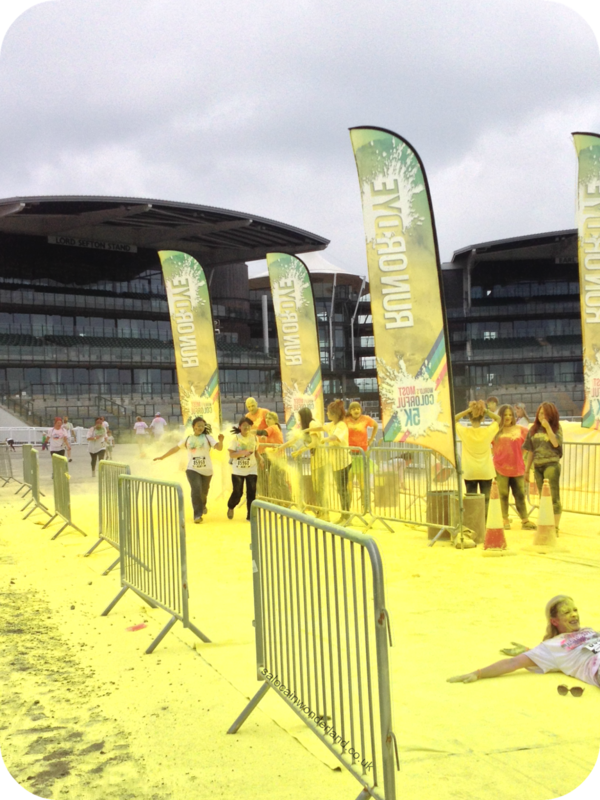 When I heard Run or Dye was coming to the UK I crossed my fingers, toes, legs and eyes that they would set up an event in Liverpool – and they did! 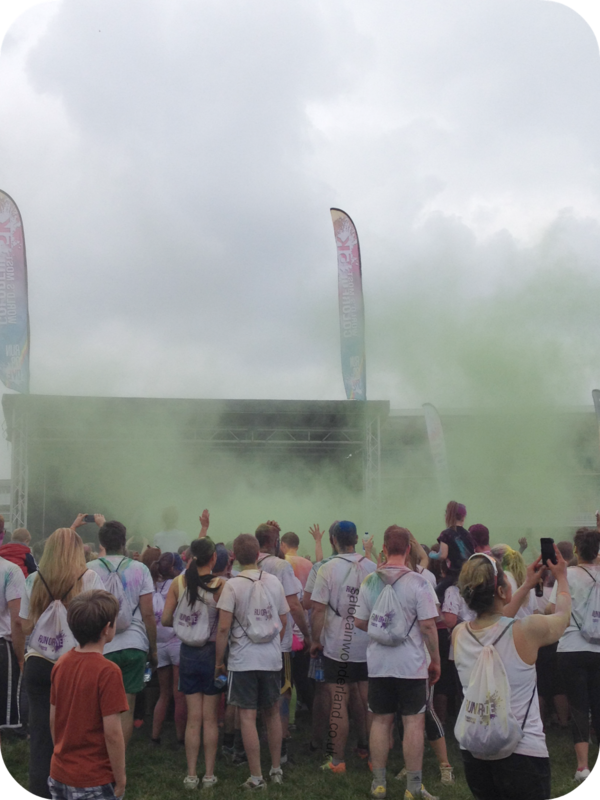 The took over Aintree Racecourse on their give love world tour, painting the course in their signature rainbow dyes! What is Run or Dye? Run or dye is a family friendly 5k (3 miles) ‘run’. It’s not a race or a run, so no matter your fitness levels or lack there of *raises hand* anyone and everyone can take part! The majority of race goers at the Liverpool event tackled the course at a slow jog meets power walk meets Sunday stroll pace – there was a guy going backwards in scuba gear, so any and all speeds are welcome! As you make your way around the course, dye stations are set up where volunteers get colour me happy and pelt you with dyed cornstarch powder, covering you from head to toe in the rainbow! I was amazed by the amount of families taking part, so many tiny little tots, some who couldn’t even walk yet, where pushed around the course in pimped out strollers and giggling their heads off! I saw so many little ones (and big ones!) rolling through the dye stations and just having an absolute blast! What to wear to Run or Dye? YOU are the canvas! Most people, myself included, went with a black/white combo, you also get official Run or Dye race tees on the day as part of your registration fee! They have a merchandise stall too if you want to pick up some other gear! I saw so many people in brights; neon socks, headbands, clothes, as well as two guys in bright white (though not for long!) wedding dresses and a couple of onsie wearers, oh, and The Stig! Next time around I plan on getting really creative with my costume for sure! Ready, set, dye! Once you’re in the corral they set you off in waves as the first dye station gets pretty packed and slows everything down but after that you’re away. Set a pace you’re comfortable with, walk if you want! We went for a very slow jog meets power walk and at the dye stations, we slowed it right down to make sure we got pelted with plenty of colour! If you really want to catch the colour, stick to the sides of the dye stations, jump up and down, paint a bullseye on your back or literally get on the floor and roll! I saw so many dye angles being made! If you’re not feeling the dye, go through the middle and you won’t get pelted as much but there is plenty of space on the outside to get through a dye station with little to no damage! We completed the course in around 35 – 40 minutes, the max time you can spend going around the course is close to 2 and a half hours! As fun runs go, this one ranks right up there for me! I had the most amazing time! The weather was great and the atmosphere was electric! Even before the race, everyone was getting dye crazy – everyone gets a packet of powder in their race bag and you can purchase more prior to the event day! Clouds of colour where going up all over the place, it was so much fun! Post race - I wasn't covered in half as much dye, it was all falling off me as I moved! 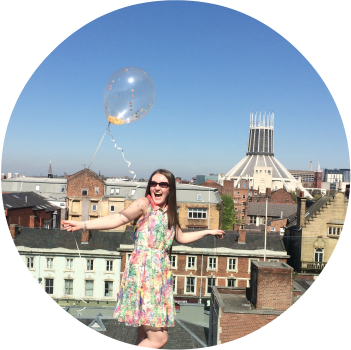 There are plenty of UK events left before they eave our little land so if you fancy it, head on over an sign up now! I know I’ll be signing up the next time they come around! 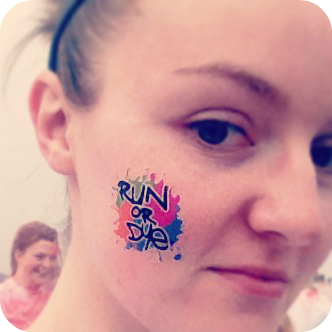 Have you taken part in a Run or Dye event? Let me know in the comments below! 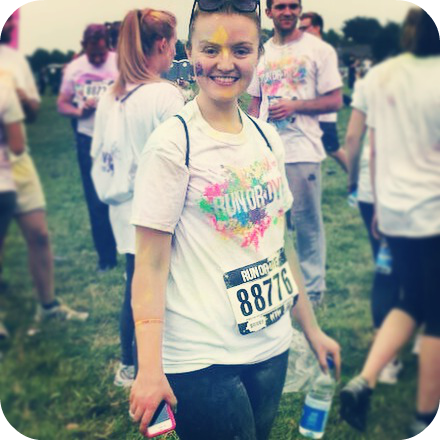 I'd love to do a colour run! Where's the photos of your afterwards? It's coming! It wasn't taken on my phone so I've had to wait to get my hands on it! ooo if one comes up near you, you have to sign up! It's so much fun!